If you’re in Sydney asking yourself “should I sell my car?” the reasons for doing so should include upgrading your vehicle to tackle some of the incredible drives you have at hand in New South Wales. Starting at the Railway Square intersection, you can begin the historical journey West to the majestic Blue Mountains. It’s a two-hour trip to the town of Katoomba where you can take in some food fuel at the Yellow Deli before taking one of the many magical excursions on foot. If it’s a rainy day, grab a hot drink from the Little Paris Café and park at a view spot to watch the more adventurous walkers take on the Three Sisters hike. View of the Three Sisters from a look out point in the Blue Mountains. After a day spent here you can use the drive home to appreciate the old and important story behind the road you’re on. 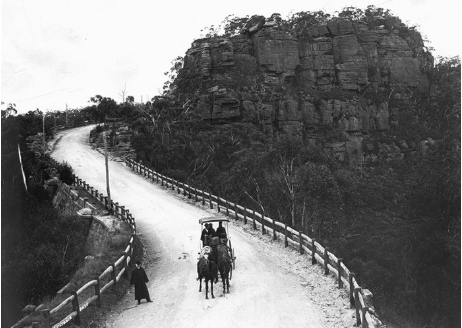 If you didn’t know, the Great Western Highway is probably the oldest driving road in Australia and was used by many settlers and convicts to traverse the Blue Mountains and save an otherwise dwindling New South Whales, which was only a small settlement at the time. An 1800’s record of the two-day trip crossing the Great Western Highway by buggy. Perhaps you’re more of a beach-goer than a mountain-climber? If you’ve got a new car in Sydney come the warmer months, free up a day to do the Northern Beaches Crawl. This drive isn’t exactly amongst wilderness, but you can people watch in the sunshine through Manly, Freshwater, Deewhy, and up past Whale beach. 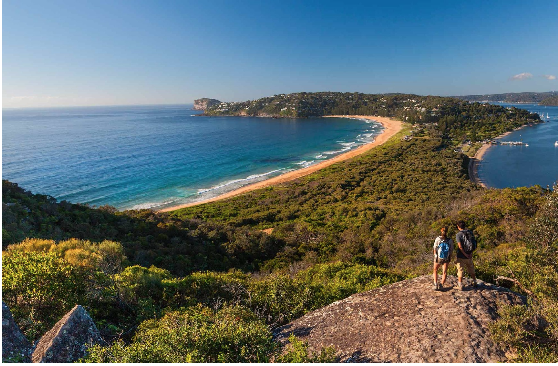 Stop anywhere or everywhere along the way for a swim or a coffee and stretch your legs at the end of the peninsula on a steep walk up to the Barrenjoey lighthouse. This is a truly lovely way to get out of your suburb while enjoying some of the more beautiful parts of your own city. The view from the end of the Beach crawl at the . If you’ve just invested in a four-wheel-drive, put it to good use by travelling away from the beaches and into the true outback of New South Whales. The Darling River Run traverses NSW from Walgett up north down 730 kilometres to the town of Wentworth, nearly on the Victorian border. 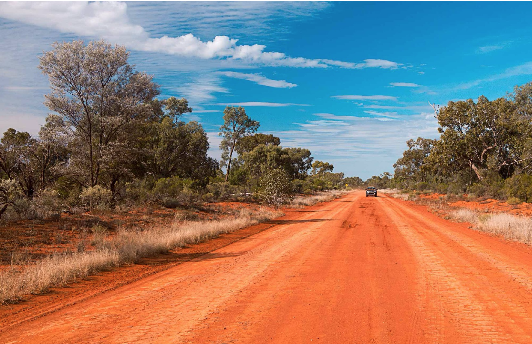 Journey this gravel road beneath wedge-tail eagles, over open plains and through old ports of historic architecture. In the last stretch of the drive, stop off at Mungo National Park to see the ancient dry lakes or the expansive Walls of China (the sand dunes!). This trip can take up to four days and it’s definitely for the more rugged drivers. The rugged road of outback NSW along the Darling River Run. 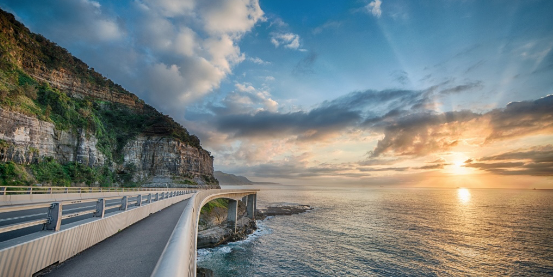 A truly classic scenic drive for any Sydney inhabitant is absolute the Grand Pacific Drive. An absolutely stunning 140 kilometres south from Sydney, the drive guides you through limitless beaches, cute coastal towns, hikes, view points, food markets… you get the idea. The drive need only take a few hours but you’ll miss all the best parts along the way. Pack a tent or find accommodation as you go and spend a few days or a week on this one. No need to plan a strict itinerary just let the road guide you. The stunning overpass on the way to on the Great Pacific Drive. Chances are these drives will have gotten the driving juices flowing and you won’t want to quit. Add an extension to the Grand Pacific drive and keep going down to Victoria where you can start all over again. Check out https://www.areyouselling.com.au/sell-my-car/melbourne/.